As detailed in many previous articles on this site, Apple (NASDAQ: AAPL) and Microsoft (NASDAQ: MSFT) are excellent stocks for growth, value, and income investors. The recent strong results have proven that to be true. Apple is up more than 43 percent for the last year of market action (chart below). 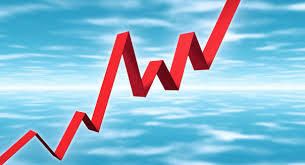 Over that same period, Microsoft has risen more than 28 percent. Investors should expect a strong total return in the future. For growth investors, both Apple and Microsoft have promising indicators. Earnings per share are up 29 percent for Microsoft this year. For Apple, earnings per share are expected to improve tremendously. Apple just beat growth estimates in its most recent quarterly earnings statement, as reported by The Wall Street Journal. Even with the growth, there is still value in the stocks. Apple is selling at a price-to-earnings growth ratio of just 0.91. According to investing legend Peter Lynch, that is a critical indicator; which should be one for a fairly valued company: the lower the better. Both Microsoft and Apple still have profit margins of over 20 percent. The income component is getting better and better for each high tech giant. At present, the average dividend yield for a member of the Standard & Poor’s 500 Index (NYSE: SPY) is under 2 percent. The dividend yield for Apple is 2.13 percent. Microsoft has a dividend yield of 2.81 percent. Both have plenty of cash to increase the dividend and underwrite share buyback programs to reward shareholders, too. Growth, value, and income investors have all done well with shares of Microsoft and Apple. There is every reason to expect this to continue to happen for the future, too. Each company has loads of cash and very strong operations. The brands of each are unassailable.for a good reason: both companies produce great goods and services that the market both wants and needs. That makes each a great stock for growth, value, and income investors.